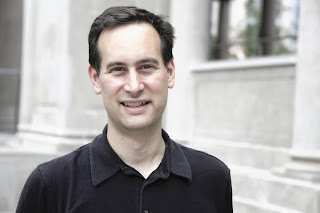 Today I am so, so, so happy to welcome David Levithan to the blog. I had a lot of fun in this interview and don't forget to read to the end, where five lucky winners can each win a copy of Every Day! Hi David! Welcome to The Mile Long Bookshelf, it's an honour to have you here. Could you tell us a bit about yourself and your new novel (which I loved), Every Day? Hello, Bookshelf! My new novel, EVERY DAY, is about a person, named A, who, since birth, has woken up in a different body and different life every morning. 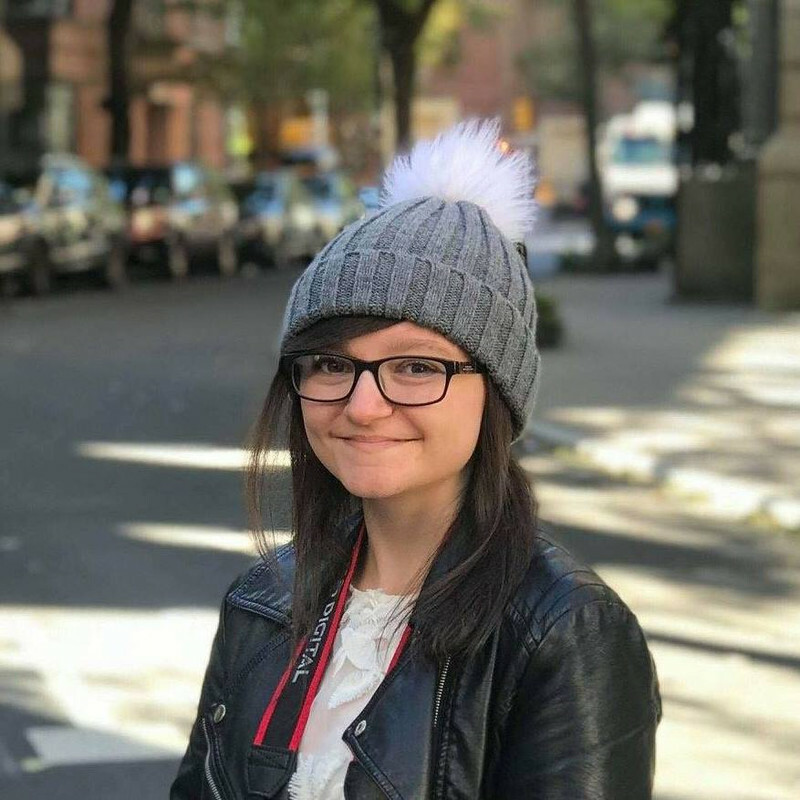 A has gotten used to living a disconnected, featureless life … until a girl named Rhiannon comes in and makes A feel attachment for the first time in ages. How did you actually come up with the idea of Every Day? A lot of books seem to recycle the same plot over and over again, but yours is completely different to anything I've read before. Thanks for saying so! I honestly don’t know where the idea came from – I just loved the notion of waking up in a new body every day, and never having a set body of your own. For A, this means having led a genderless, raceless, parentless, friendless, religionless, appearanceless life – so there’s no outside definition, only inside definition. That intrigued me. As did the question of whether, from Rhiannon’s point of view, a person can love someone who literally changes every day. How long, roughly, does it usually take for your books to get from inside your head to retailers, readers and reviewers? For EVERY DAY, I had the idea for the concept … and then put it on the back burner for a couple of years. Then, after I wrote THE LOVER’S DICTIONARY, I was pondering what to write next, and the idea came back to the front. It took me about a year to write, and then another year to publish. If Every Day was in the casting process for a film, who would you pick to play A and Rhiannon? Quite a tricky question, considering A is always changing! I would want A to be played by a different person for each day – so that’s a lot of actors. And I honestly don’t know about Rhiannon. Elle Fanning is the first person who popped into my mind, although goodness knows there are many, many other possibilities. I love living in Hoboken and working in New York City. You’ll never get me away from here (except to visit). Why? Because everything happens here. And it’s where most of my friends and most of my family lives. Good point! Do you have any tips for aspiring authors? Don’t pressure yourself to get published. Pressure yourself to continually improve your writing. And don’t be afraid to fail. What is the most embarrassing thing that has ever happened to you? Sorry, I had to ask! True story: Last week after a long day, the class I teach got out at 10:30pm and I was walking down Sixth Avenue to the subway. I had my headphones on – as I always do – and I decided to rock out to Katy Perry’s “Roar”. I may have been semi-silently singing along. I was definitely dancing to it. 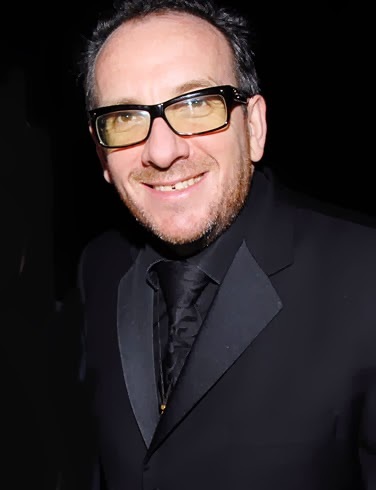 And in doing so, I rubbed shoulders with a passerby – who ended up being Elvis Costello. So yeah. I felt all of my indie credit dissolved in a moment. Hahaha, oh dear! I'm really looking forward to your next book. Is there anything you can tell us about it? I'm looking forward to it. Thanks for your great answers, David! Really cool interview! Getting to speak (virtually at least) to authors you love seems like the coolest experience ever. I definitely want to read Every Day, hope I win one! Great interview! I really want to read Every Day so fingers crossed I win a copy! But I'll have to come back later to enter because my computer is being really slow at the moment and the widget won't load! Awesome interview! I've just finished Will Grayson, Will Grayson, and really want to read sonme of his others! I support BAMB because it means I'm supporting bookshops, authors and the bookish world from closing down. Your review on this inspired me to add it to my must-buy-and-must-read list. I love Elle Fanning as a actress, I can't wait to read the book and see if I can imagine her portraying Rhiannon! I think Levithan's advice for aspiring authors is particularly useful; you should write because you want to create something great, not just because of your desire to be published. 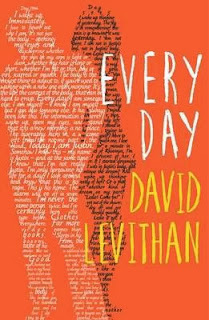 Also, how cute is the cover for Every Day?! Aw, that's great, I'm glad my review was able to inspire that! :) I haven't seen Elle Fanning act but Dakota is a good actress. And I love the Every Day cover, too! I support the campaign because quite frankly I will support anything that puts books in readers hands. Thank you! You should definitely read Every Day if you get the chance. OH MY GOD! You got to interview David Levithan!!!!!!!!! Great interview, it was interesting to find out more about this author. I know, it was so exciting! :O You should if you get the chance! That's a fab interview! My favourite is Dash & Lily's Book of Dares! Thanks! I read half of Dash and Lily's Book of Dares and then completely forgot about it...I should give it another go. Glad you enjoyed it! Okay, I've calmed down now. I DID I DID I DID :) Hehe thank you Georgia! YOU MET HIM?! Lucky! Don't tell anyone but I haven't read any yet. I love David!!!! in all honesty i love his writing !!!!! <3 my favorite would have to be Every Day or Will Grayson Will grayson by David and john green!!!!! I have yet to read one of his books "shame face"
I hope you get the chance soon!